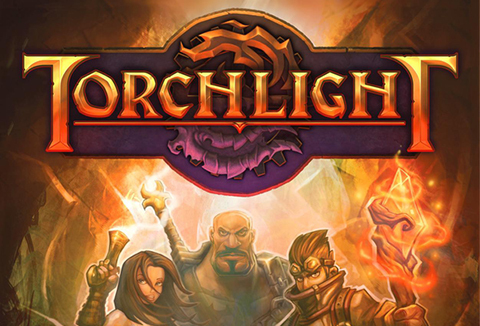 On Xbox Live Arcade, you will find a refreshing little game from Runic Games called Torchlight. This action RPG was fun from the get go and is a definite need to buy. The game has plenty of depth and character customization in it without feeling overwhelming in any way. You start off by picking from one of three character types that fit into three stereotypical roles: Destroyer (warrior), Alchemist (mage) and Vanquisher (archer). You then still have the option of choosing your pet from a wolf, bobcat or a goofy looking dragon-like creature. The cool thing about pets is that they are not entirely useless. They fight for you, carry your extra items and can be sent back to town to sell off any unwanted things you may have. The basic premise of the story is that there are some bad things going on underneath the town of Torchlight and it’s up to you to go cave crawling and defeat all the baddies. Along the way there is plenty of gold to pick up and weapons and armor to acquire. Along with the endless amounts of goodies, you have abilities to purchase and upgrade, as well as gems to add into your weapons and armor to enhance their abilities. It’s a constant stream of random cool bits and pieces to keep the customization going. And to top it off, you also get random unknown items to play with. It keeps the game exciting and fresh. Game play is really basic without feeling dull and boring. You hack and slash your way through streams of bad guys to reach the eventual boss of each level. Defeat the boss and get heaps of gold and random loot. I know it sounds really simple, and it is, but that’s another thing that makes this game fun. The game never feels overwhelming and doesn’t ever give you that hated controller throwing frustration that other games have done in the past. To be completely honest, I loaded up the demo to this game thinking I would just give it a go and see, but next thing I knew I was totally immersed in it. Torchlight has great visuals, it’s a very friendly pick up and play game, and is just all around fun. This is one XBLA game that is definitely worth your time and money. Highly recommended.